Help end child sexual abuse. Donate to Erin's Law. 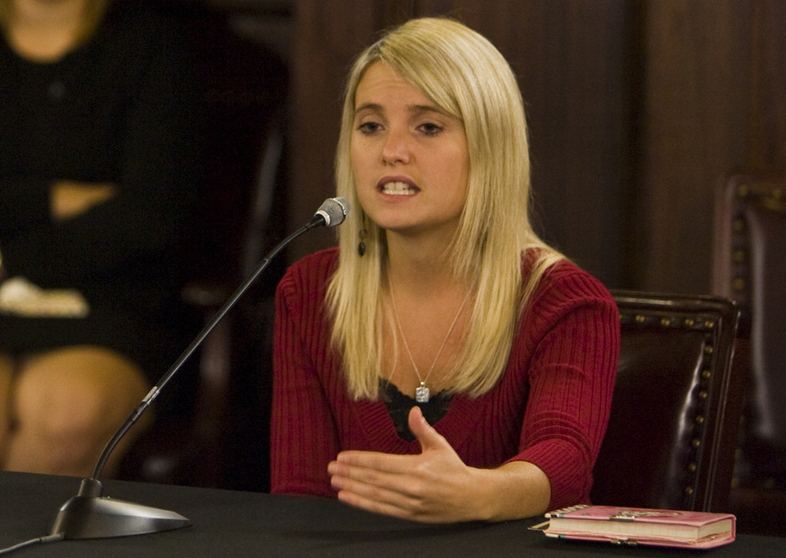 Childhood sexual abuse survivor turned activist Erin Merryn needs your financial support. She is traveling the country, state by state, asking legislators to pass Erin's Law, which requires that all elementary school students be taught to tell on anyone who tries to touch their private parts. Numerous states have passed the law, with many more states pending. Please donate today to help Erin with her many expenses. All requested information below is required by the IRS. If you are planning to donate more than $1,000, please email erin@erinslaw.org before you donate. Please "Like" & "Tweet" this page, plus click on the "Share" button above and get your family & friends involved, too! Thank you for your interest in supporting Erin's Law, which is organized as a nonprofit organization under section 501(c)(4) of the Internal Revenue Code. Erin's Law engages in issue advocacy and grassroots lobbying to further our core purposes. Since Erin's Law is currently a 501(c)(4), contributions to Erin's Law are not deductible as charitable contributions for federal income tax purposes. There are no limits on the amounts that may be contributed to Erin's Law by an individual, corporation, union, or trade association; however, Erin's Law does not accept contributions from foreign entities. Any person or entity that contributes more than $5,000 to a 501(c)(4) organization must be disclosed to the Internal Revenue Service on Form 990. However, the IRS does not make these donor disclosures available to the general public and neither does Erin’s Law. Thank you again for your interest in supporting Erin's Law.